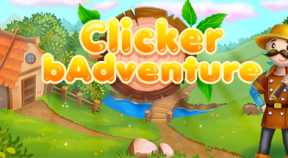 If your liked 2D clicker games, you will love this 3D one. This game was created to show you a new kind of gameplay. No more life bars for the trees, depending of their color, you will get an estimation of the time required to cut it. Shields are really cumbersome, so, do not hesitate to use your hat on your head to protect you. Weapons evolution will modify their shape depending of their previous appearance. From a simple stick, you will get a spear. All enemies will evolve in the same way, taking into account the appearance of the previous shape. You will get the feeling that all your games are different. The life of all trees is random. Dialogs will always be different and will be played randomly in different moment in the game. When you get the feeling you are strong enough, do not hesitate to upgrade the game difficulty to see how far you can go.